including beverage, fuel, oil, and so on. It is much cheaper than traditional transportation facilities, such as ISO tank and IBC barrel. Knh flexitank could contain 16- 27 tons liquid goods depending on client' s requests. 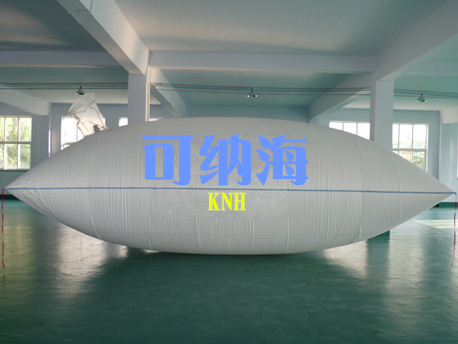 Knh flexitank use double- heat- seal technology, which makes it much stronger than usual product. Business Description: Qingdao Kenahai Flexitank Industrial co., LTD is located in the beautiful coastal city Qingdao, is a collection of scientific research development, design, production, sales, professional production oriented high tech enterprises. KNH flexitank is widely used in petroleum, electricity, water conservancy, industry, logistics industry, chemical industry, environmental protection and other fields. Company has always been to "quality is the enterprise survival, reputation is the source of thriving enterprise" business philosophy, to do "the most professional flexitank supplier" as the enterprise objective, in line with the "whole" spirit of enterprise, constantly strengthen the technological process, strict control of product quality, our products passed the ISO9001:2000 international quality system certification and FDA, BGA, EC, China food packing PVC health standard "moulded material certification. In product design, production, quality inspection completely accord with national food import and export packaging requirements. We has a long term commitment, and on the quality of the products and the insurance company for products liability insurance. At present, our product sells in distant markets such as the United States, Brazil, Australia, Japan, Singapore, Malaysia, India and other countries, we always insist on using the best quality service, the most preferential price, the most reliable products for the domestic and foreign new and old customers to provide services.